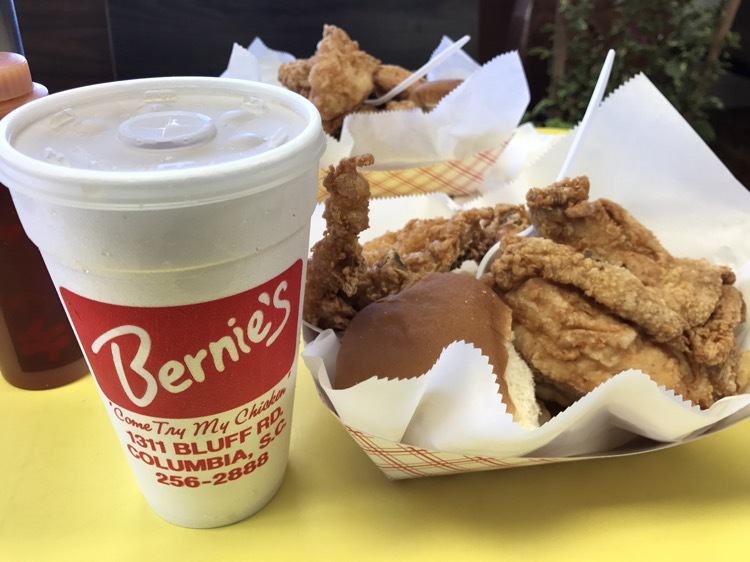 As I planned a trip to Myrtle Beach, I realized that Columbia was about midway – and I had recently heard about Bernie’s Fried Chicken. I had thought about stopping on the way up, but that was on Sunday – the one day of the week they are closed. 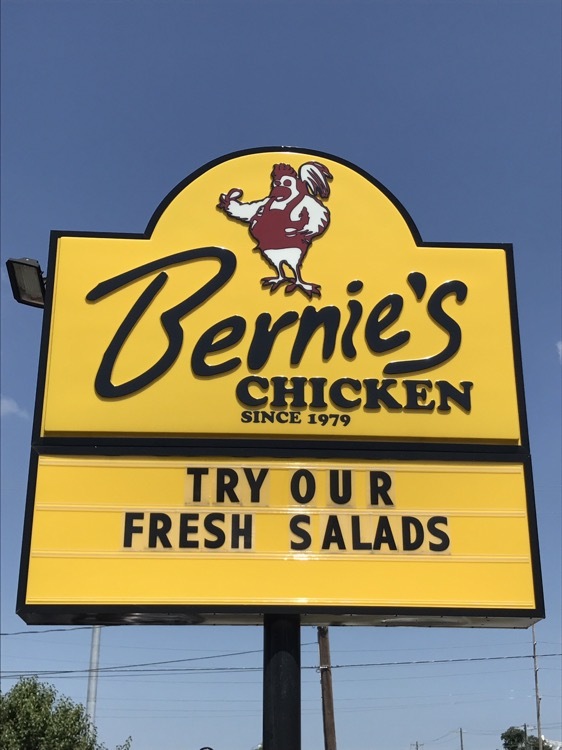 We were heading home on a Thursday and they were open. Destination established. This place is a fried chicken factory. 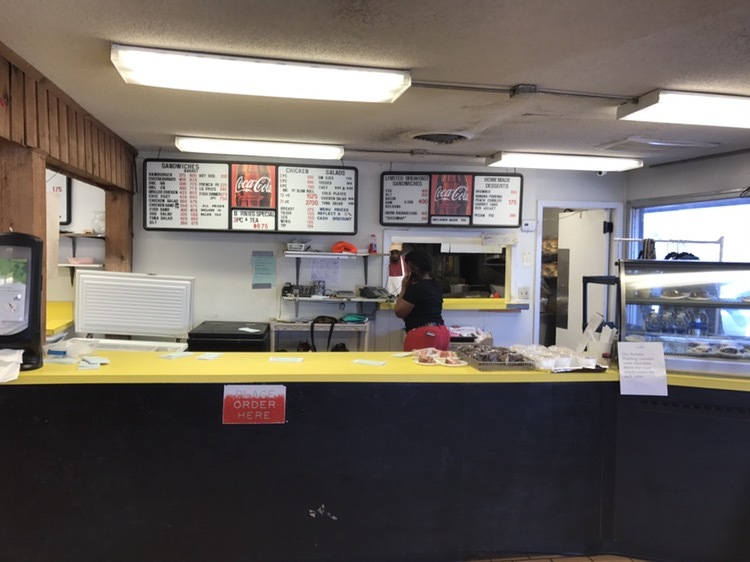 You order at the first counter when you come in (above), then pay when they call your number and you pick up your food. 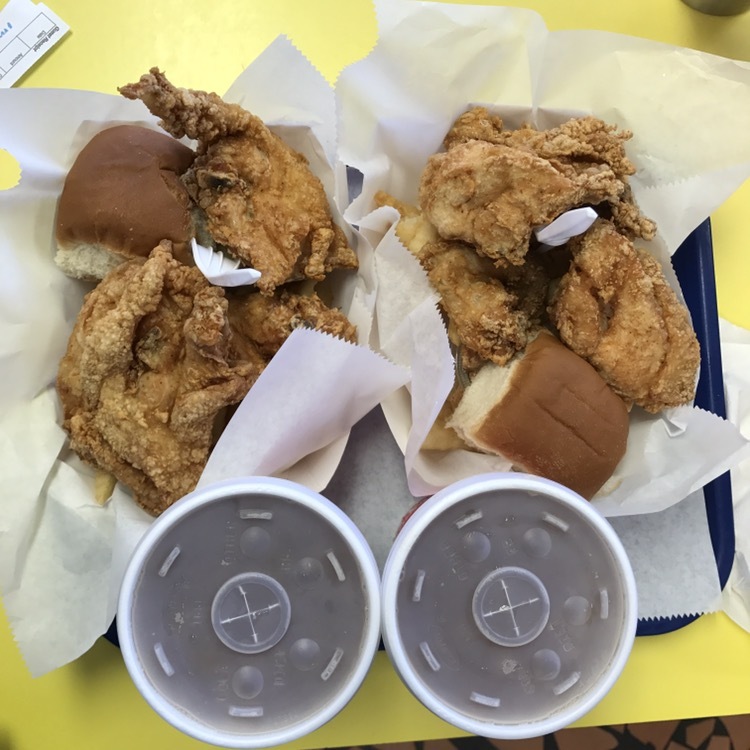 We both ordered the daily special – three pieces of chicken with cole slaw and a roll. Why did I say it’s a “fried chicken factory”? While there are other items on the menu (you can see half of it in the picture above) they called over 100 numbers in the forty minutes we were there. And most, that I saw, weren’t just one plate of chicken on a tray. 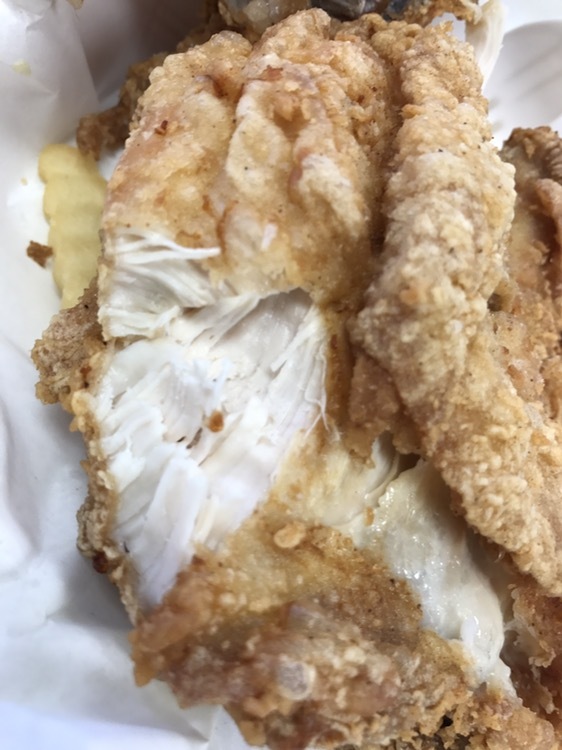 The chicken has a crispy skin that doesn’t shatter when you stick a fork into it, but it flakes readily. It is a bit salty, but very moist and goes really well with the hot sauce that you see on every table. The cole slaw was finely chopped and, according to my beloved slaw taster, pretty good. Not too sweet and not too sour. I wouldn’t hesitate to stop there any time I’m heading through Columbia. It’s an easy on-off from I-77, not far from I-20. Swing by, if you have the chance.